Good morning! Welcome to a new week! 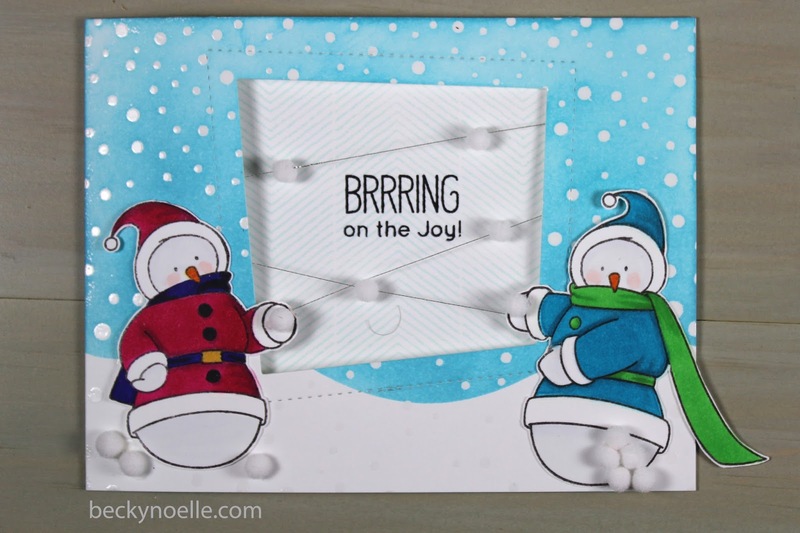 I've got a fun snowy card today using my new My Favorite Things stamps and dies! 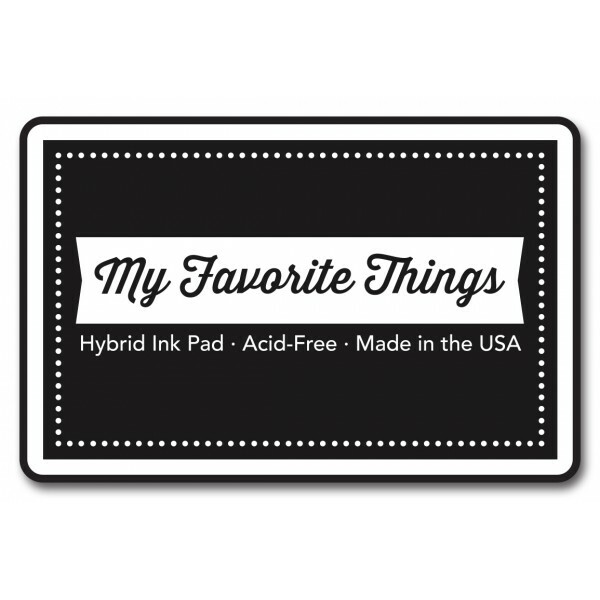 To start this off I cut my Neenah cardstock to 4 1/4" x 11" and then scored it at 5 1/2" to make my card. I stamped, colored with copics, and cut out my snowmen. (the snowman on the left in the pink coat was originally holding a stick with marshmallows but I just cut it off and then colored over the part left still showing on his hand with my white uniball signo gel pen. I stamped the Snowfall background stamp on the card front in Versamark Ink and embossed it with clear embossing powder. I die cut the snow drift from masking paper and then masked off my snow and used my ink blending tool to ink up the sky with Tumbled Glass Distress Ink. 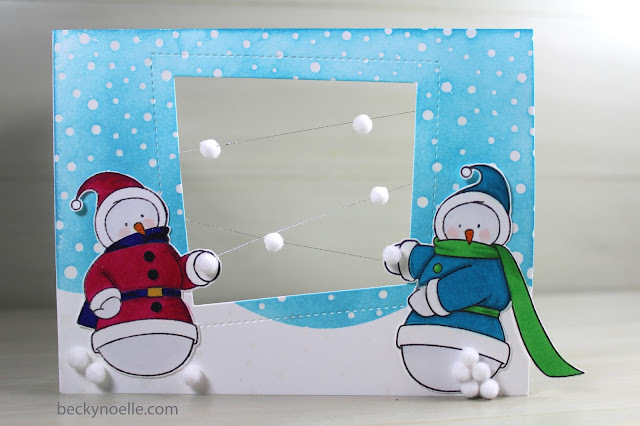 I die cut the wonky window in the front of the card and adhered the snowmen to the card. I stamped the sketched chevron background on a 4 1/8" x 5 3/8" piece of Neenah cardstock and then adhered that to the inside of my card. I closed the card and stamped my sentiment on the inside, centered in my wonky window. I threaded some snowball pom-poms on silver thread and strung them across the back of the window inside the card and then finished off the card by gluing some snowballs to the front. Anyways, that's enough for today, have a fantastic day and I'll be back tomorrow!